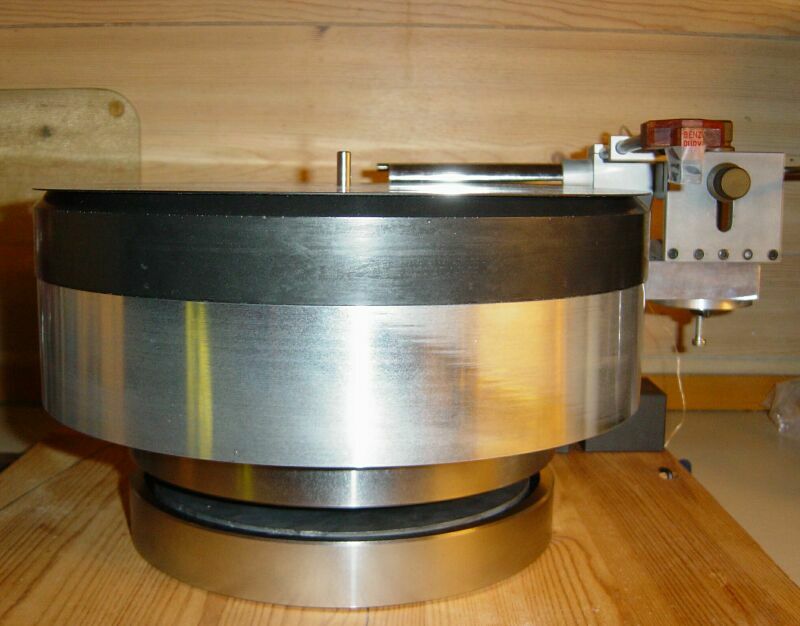 Platine Verdier may be well known by the high-end people, but for most this french turntable is way out of their league. The original Platine may be one of the best, but a DIY copy is very close. The base will be made of three layers of solid wood. The middel plate will be drilled out and filled with lead-shot. 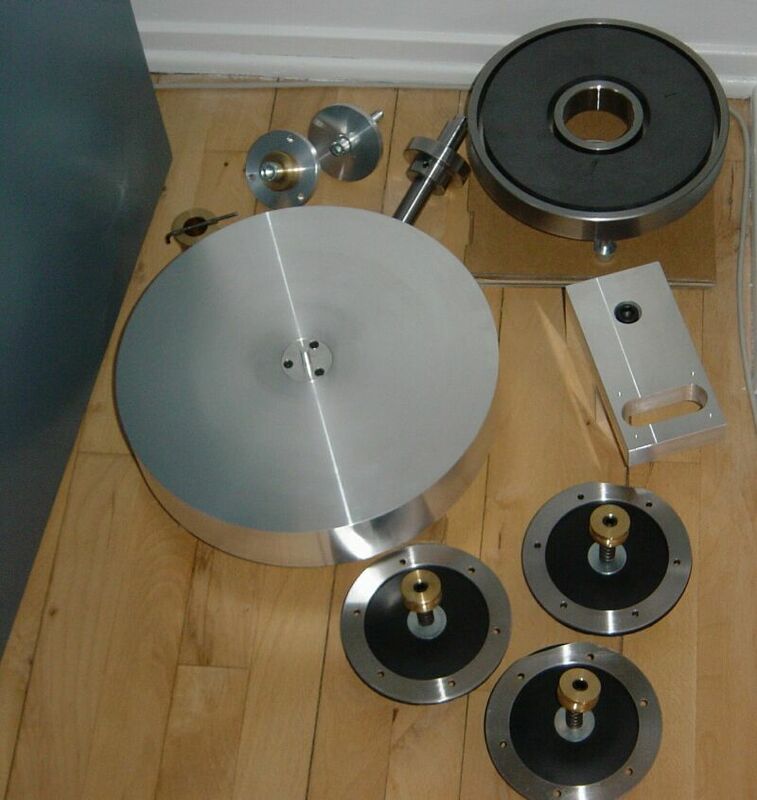 Total weight including the platter will be approx 60 kg (120 lbs). A few of the parts you need .... just missing a base, a motor, the PSU, an arm, a cartridge and a few boxes of electronics. Not to mention a lot of sweat and sleepless nights. I persuaded my good friend Claus to make these parts for me - and I did him a favour. 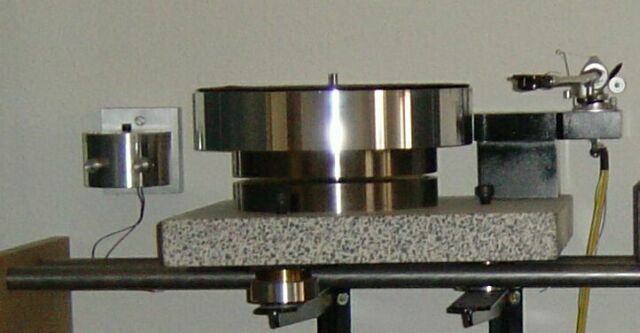 A close up of the very massive bearing. I think this one will last at least a 100 years! Especially considering that most of the weight is suspended by the big magnets. This i an inverse bearing with the ball on top. A closer look at the massive platter and the armbase. This one is drilled for the SME 3012 base. 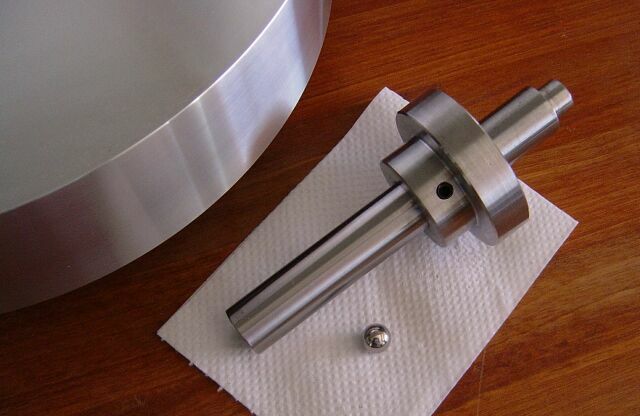 The center of the platter with the spindle can be removed to insert the ball and oil for the bearing. First trial. This is just to test the bearing and height adjustment. The base is not the one that I'm going to use. 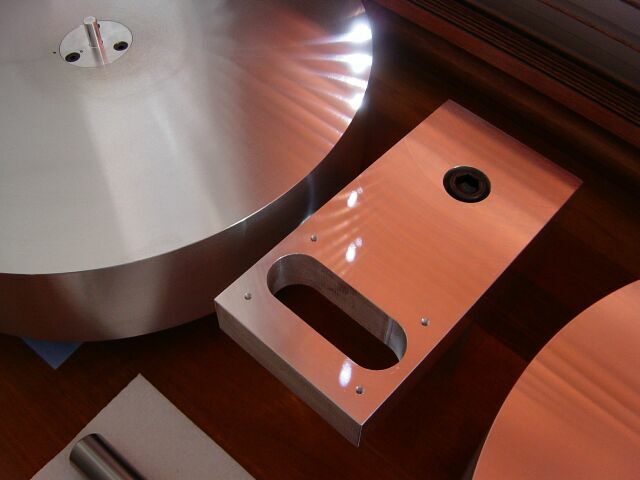 The magnets are very powerfull and creates a 12 mm (½") airgap between the 26 kg platter and the bottom part. Here is Claus' own deck - showing how it could look when finished. My deck will be a bit different. Claus made this deck some years back and yes - there is no string/tape on the picture).